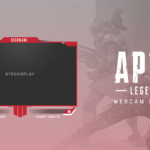 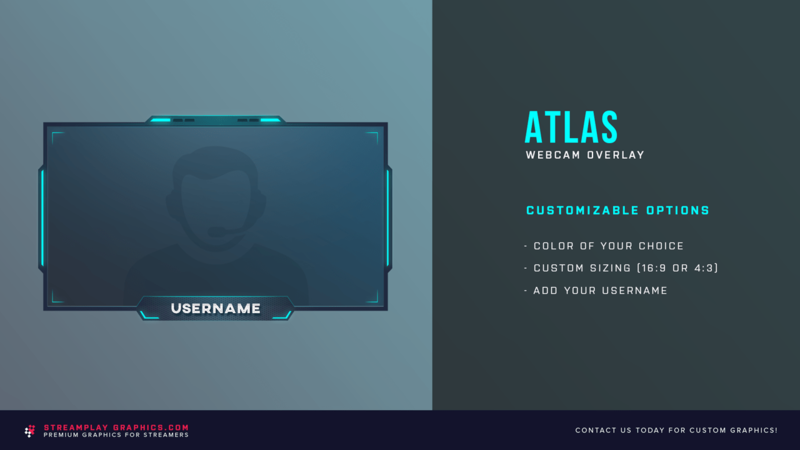 The Atlas Webcam Overlay is designed with cool, glowing features that can really help make your stream look more professional. 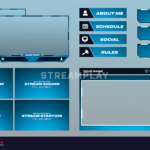 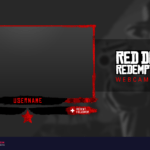 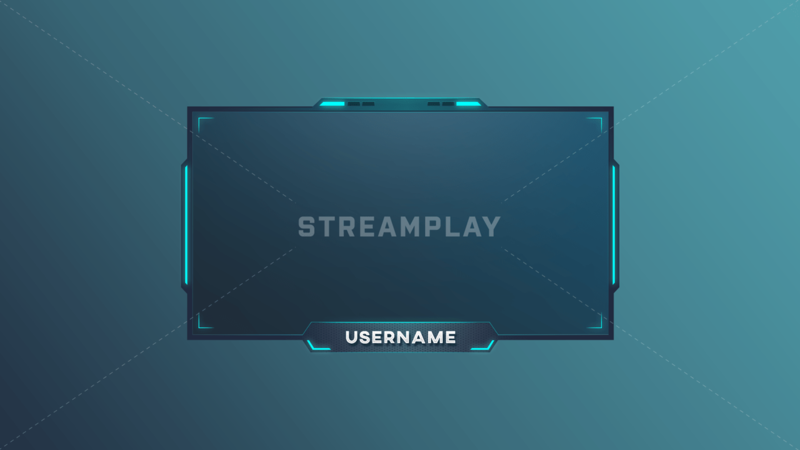 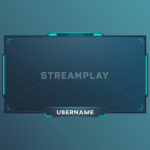 If premium, high quality designs are what you look for in your stream graphics, then this is the cam overlay for you! 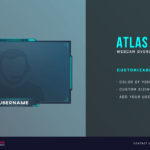 With this option you’ll be able to instantly download the default version of the Atlas Webcam Overlay that will look exactly like preview images above, as well as a PSD file for you to customize yourself.